As we have discussed, I am in the process of writing a piece for the New England Historic Genealogical Society’s Spring 2010 publication of New England Ancestors. 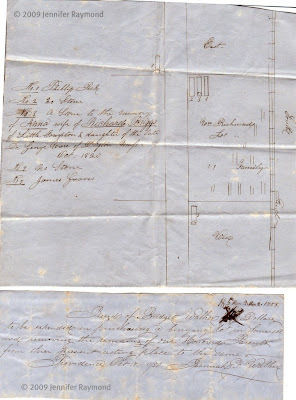 The article focuses on our ancestor, Captain David Walker, and the discovery of one of his whaling ships, Candace, unearthed in San Francisco’s financial district in 2006. When I began to research David’s brothers and sisters, I came across another amazing find…Izannah’s beautiful dolls! The first time I pulled up your website and saw pictures of her dolls, I had chills. It was like looking into my own son’s eyes. There is a uniquely handsome shape to the eyes with one eye that seems to look ever-so-slightly off to the side. I had traced the characteristic back through old pictures to the Walker side of our family when he was just a baby. 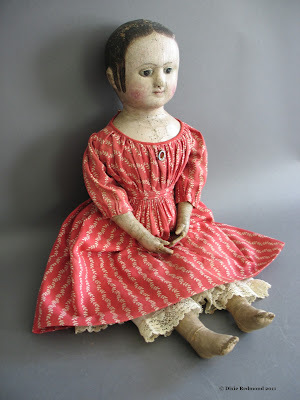 For me, part of the allure of the dolls and their simple innocence is the way Izannah painted the eyes. I can only wonder if some of the Walker nieces and nephews were models for her dolls. In support of your goal of providing a central repository of information about Izannah and her dolls I am providing a scan of a letter written by Izannah that has been passed down in our family. Included are two examples of her signature. 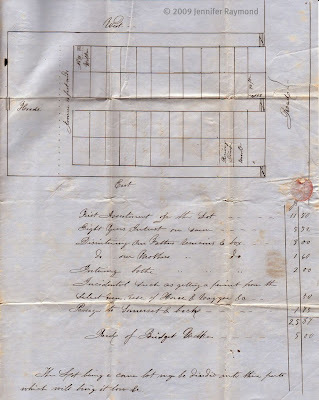 The letter was written in 1850 to her half sister Bridget addressing arrangements between the two regarding a family plot at Palmer Street Cemetery in Somerset, Massachusetts. 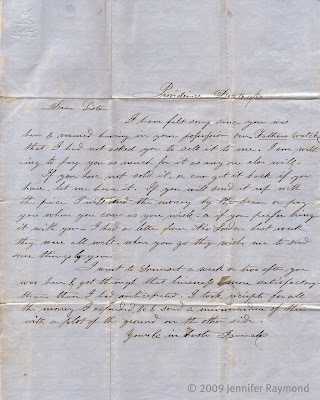 The intention of sharing the letter is not to focus on the details of her parent’s burial, but to point out that although she was an orphan, she was close to her many half brothers and sisters, visiting and communicating with them even 25 years after her parent’s death. 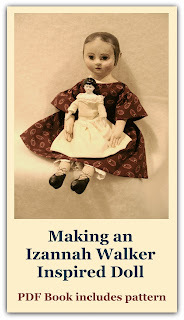 She was not alone, Izannah was one of the nine surviving children of Gilbert Walker. Thank you for building such a wonderful website honoring Izannah’s dolls, and for loving her work. Thank you to all of your readers who have generously contributed and shared information and images in an effort to build a comprehensive catalog of her work. I look forward to checking in to admire new pictures of dolls as they become available. 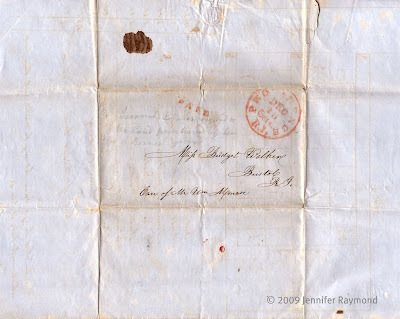 Dixie here: I am thrilled that Jennifer chose to share these wonderful documents here. Jennifer and I have talked by phone quite a few times, she is passionate about researching and understands the intent of this site. Through what Jennifer has offered, one gets a sense of the way Izannah's mind worked in the sketches and handwriting in the letter. I added the copyrights onto the images that Jennifer sent - the intent is for them to be available here, but not to be republished without Jennifer's permission. Thank you, Jennifer! Wauw, Dixie, what an honour for you to get such a great compliment of someone, as I understand, is a far familymember of Izannah. And then the letter written by her adressed to her halfsister. What special and again a great compliment for all your work. I got a chickenskin reading your blog and I'm very glad for you. Oh my, a treasure indeed! Thanks for sharing it with us Izannah fans.